As an ambitious young traveler, one can have huge goals and dreams of exploring around the world before aging up. If you have been planning for a trip abroad and you have decided that now it’s the time to do this, then you’re in the right place. You can take the trip in style a make it memorable. For instance, you can rent a luxury vehicle that will add class to your trip and to your friends. Whether its schooling or going for a concert or an event abroad, there is nothing that should hold you back to your dreams of exploring and taking trips to visit friends and family. Read on as I guide you on the top 6 essential tips that most people don’t tell you about that will make you prepare and enjoy your next trip abroad. You do not have to learn the local language of that country to fit in, but you can learn about the currency. Having good knowledge about the currency will help you do cost controlling. Knowing the cost of a commodity in your own currency will help you be less preyed by scammers reduce overspending. You can also know how to say a ”Yes’’ and a ”No’’ in their language. Depending on head nodes and thumbs up and down is not as effective since there is a different interpretation of these gestures. And lastly learning to say a ”Thank you’’ will go a long way to portraying as a grateful person. Even in the event, someone tells you a big NO! saying thank you portrays manners and gratitude. Traveling abroad especially if it’s your first time, can be overwhelming. And what’s the best way to keep the spirit alive? Traveling in style! Do good research and rent a luxury vehicle, whether you are going alone, with friends or family, the car will add class to your trip. Luxury or premium vehicles simply refer to those cars that are from high-end brands and have luxury features like comfy seats, a sleek look, powerful engine, and plush interior. You will be surprised at how renting a car is easy and budget-friendly when you hire the right company. Whether is a top open or modern SUV luxury car, it will always style up your experience. You should also make copies of your passport in case your original gets lost for assistance. Also leaving one copy back at home is important for extra security. You can also register with your embassy so that in case anything happens; it can be easy to retrieve you back to your home country safely. International airports are massive and complex. Planning should help you ease the pressure that comes with international flights. People are flying all over the world through these airports. They have huge terminals and massive numbers of people walking in an out. If you start considering the luggage checkup and that you may be required to connect to other small airports while connecting to the major ones, lack of planning can lead you to miss your flight. Allow yourself to have at least 2 hours before your international flight. Once you arrive, buying tickets to the only places you had anticipated to go. Reduce impulse buying and visiting areas that you had not planned. Consider getting guidebooks example, maps. In as much as recording the beautiful sceneries in your head overwhelming, taking photos and video recordings will stay forever and will help you re-live the memories all over again when you play them. With these 6 great tips, your next trip abroad should be fantastic and memorable. Remember when you rent a luxury vehicle for your transport mean will be a plus for your experience. Las Vegas attracts visitors and international tourists in droves every day. The city is brimming with attractions and experiences to savor. Moreover, with rental24h car rental, you will never be out of options as you seek to tour the city at leisure. To offer you a glimpse of what the city has to offer, we have selected a twin set of highlights. They provide an interesting profile of the city’s varied delights: from the frenetic to the intrepid. While it is conceivably possible to tour the entire strip on foot, you need to wear comfortable shoes to enjoy it in comfort. But there are many other solutions for touring the strip including the monorail and bus. 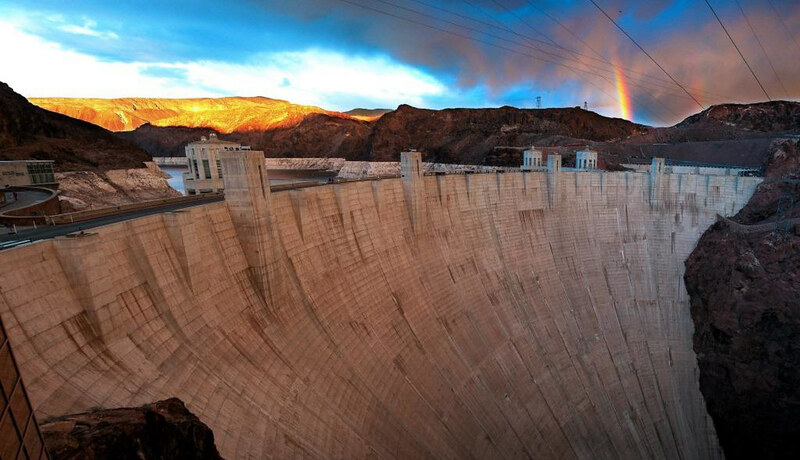 Hoover Dam, also known as Lake Mead, is the largest water reservoir in the United States by volume. The dam spans the Colorado Rive and the Black Canyon. The immense concrete structure rises imposingly along the rocky escarpment to provide a sense of awe and inspiration. It provides a veritable alternative for someone who wants to sample something decidedly different from the hustle and bustle of the city of casinos. A visit to the Hoover Dam is not complete without a stopover at the Visitor Center. Here you will have chance to sample a collection of memorabilia including audio, visual and interactive exhibits telling of the story of the dam’s history. There is even a mini-theater where you can watch a 10-minute film documentary. 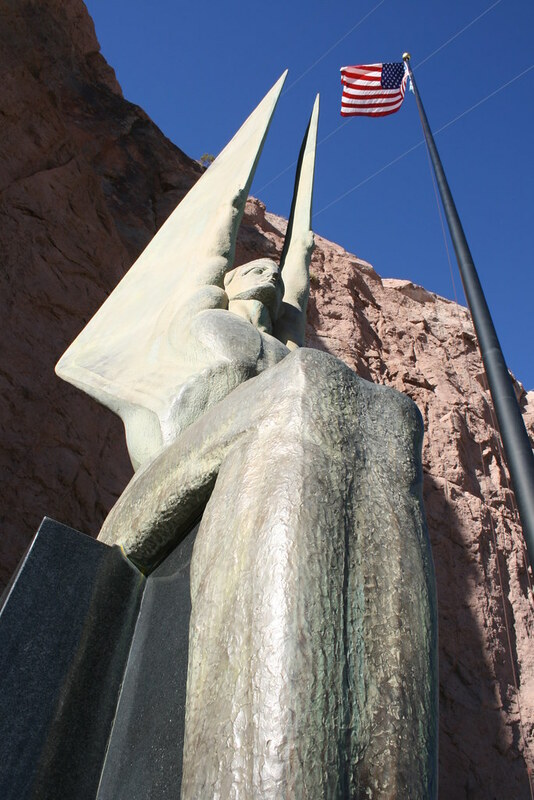 Another visitor attraction at the dam are the Winged Figures of the Republic, located just across the yard from the Visitor Center. The bronze statues were created by sculptor Oskar J.W. Hansen. The floor on which the statues stand is made of terrazzo. On it is depicted a celestial map featuring the seals of all the seven states through which the Colorado River traverses. The highlight of any Hoover Dam visit is however a walk atop the dam itself. From the height you will get to enjoy some of the most panoramic vistas of the lake, river and the canyon beyond. You can either depend on the dam staff for guidance or pick a tour package which includes an independent guide. 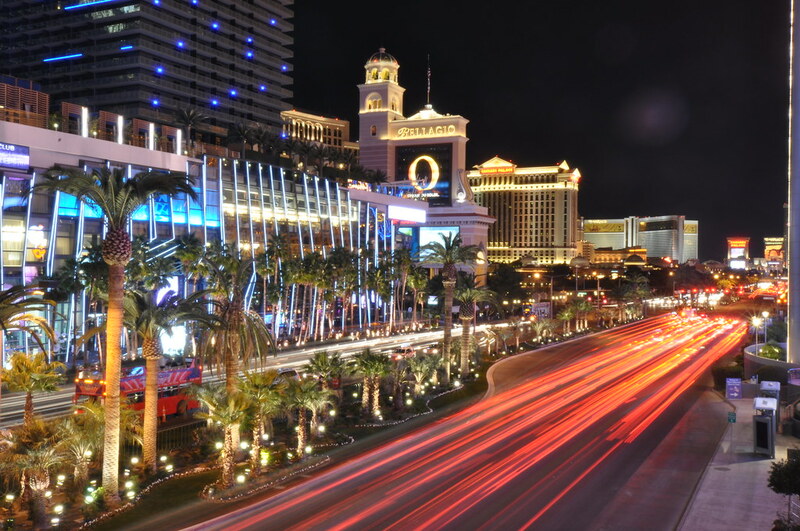 To enjoy the best of Las Vegas, it is necessary to go for a varied experience. While the city is well known for indoor delights, there are many outdoor experiences to inspire and awe you. And if you are at a loss on how to begin exploring the city at leisure, the folk at the rental24h car rental will help you get started without a hitch. Once we crossed over the Szabadság Híd or Liberty Bridge into Central Pest, the energy of the city grabbed us. This is where everyday life is carried out – cars hustling to and fro, pedestrians shopping and running errands, business owners plying their wares and services. We stumbled upon the Central Market Hall, which was buzzing with activity. Inside, hundreds of stalls offer meats, seafood, cheeses, spices, fruits and vegetables, flowers, prepared food, trinkets and assorted household items. We saw an entire pig’s head in a meat case near the back that sent us scurrying in a different direction. Climb up the intricate wrought iron staircases to get a bird’s-eye view of the melee. The Calvinist Church is just down the street (undergoing renovations during our visit) as well as the Hungarian National Museum. Aside from a few artifacts – the campaign chest, funeral crown and some leather cloaks – the museum is fairly non-descript. Closer to the Danube and part of the more pedestrian-friendly area of Central Pest are the Klotild Palaces, Váci Street (promenade with lots of shops and cafes), the Inner City Parish Church (check out the Turkish prayer niche, the pulpit and the Gothic Chapel), the Turkish Bank and Vigadó Square. There are plenty of restaurants along the water that cater to the weary along the embankment walk. Notice the statue, Little Princess by Lázló Marton, along this route. A friendly violist will play you a song while you admire the nymph. For a nicer dinner, we enjoyed the Rézkakas Restaurant on Veres Pálné Utca. We listened to a musical trio that even played a saw. Just east of this area is the Jewish Quarter with the imposing Great Synagogue and a weeping willow Holocaust Memorial sculpture. On the edge of the Jewish Quarter is the New York Palace, which used to house an American insurance firm. Now they will serve you lunch on the ground floor while you admire the craftsmanship. North of Central Pest is the Parliament area. The Parliament building itself cannot be missed – it’s the largest building in Hungary and is based on the Houses of Parliament in London. The Neo-Gothic façade is filled with quatrefoils, trefoils, gables and arches and the dome looms 315 feet high. We didn’t venture inside, but hear that it is impressive. Behind Parliament is the Ministry of Agriculture on Kossuth Square and farther south, Liberty Square. The square used to house barracks for Austrian troops. Now, an eternal flames burns to commemorate the execution of Hungary’s first prime minister. Also of note in this area is the State Opera House, the utilitarian Hungarian Academy of Sciences with renowned thinkers adorning each corner of the building, Roosevelt Square, the Secession-style Gresham Palace (the Four Seasons is renovating the building to make way for one of its high-end hotels), and St. Stephen’s Basilica. The church’s dome is as high as the Parliament dome and the bell tower is equally imposing. Visitor’s can ascend the stairs to the top of the dome for terrific views of the city. Once inside, be sure to seek out the weirdest relic we have ever seen, the Holy Right Hand. It truly is the mummified forearm of King István…his rings are still hanging off his shriveled fingers. Foreign countries have such great stuff. East of Central Pest is the Városliget or City Park area of town. Walk up Andrássy Utca past the embassies and stalls selling flowers and newspapers to the Millennium Monument in Heroes Square. The monument is flanked by the Museum of Fine Arts (check out the eight-pillared portico) to the north and the Palace of Art (only a six-pillared portico) to the south. The park is just beyond the monument. Within the park visitors can enjoy the zoo, the Szécheny Baths (largest complex of spa baths in Europe) and our favorite, Vajdahunyad Castle complex on the island within the lake. The complex houses the Baroque castle, the Ják Chapel reproduced after a Benedictine chapel from the 13th century and the Statue of Anonymous. Unfortunately, we missed Margaret Island, but it looks like it is well worth the stop. 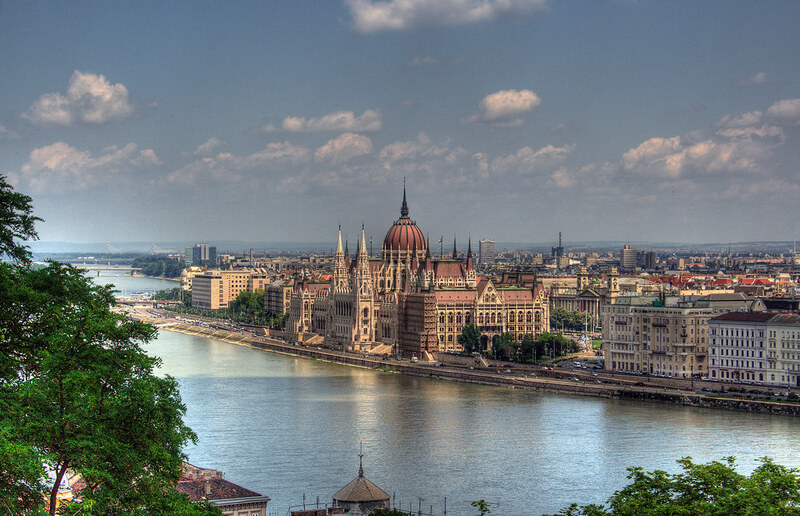 Budapest – the little-known, but up-and-coming gem of Eastern Europe. It is a pure treat to fly into this old-world Mecca and take a rickety van from the outskirts of the city into the hub of Hungary’s capital. With over two million inhabitants, the city accommodates a fifth of the country’s total population. Budapest was founded in 1873 after the unification of three individual towns: Buda, Óbuda and Pest. The western part of the city, Buda, stands on a series of hills. Pest lies in a basin to the East of the Danube River. To this day, the hustle of Pest, the curve of the Danube and the relative calm of Buda remain intact. It’s amazing that anything in Budapest has survived the centuries based on the city’s tumultuous history. It was plagued with foreign occupation by the French and Polish and devastated at the hands of the Huns, Mongols, Turks and Hapsburgs. It was also one of Europe’s most impressive cities, embracing the Gothic period and Renaissance in the 15th century. Ironically, the city also flourished under the Hapsburg monarchy during the 1800s. More recently, Budapest shrugged off Communist rule in 1989 and regained its autonomy. Now that we’ve got the history out of the way, let’s get to the good stuff! The hill is a leafy haven compared to other parts of the city. Cool breezes and chilly Hungarian beer – dreamy. Refreshed, we explored the remainder of the Citadel (check out the hotel built into the structure), the Liberation Monument, the Gellért Monument and the Cave Church. This unique church is supposedly housed in a holy grotto. Definitely don’t miss this one, especially since it doesn’t take very long to explore. Exploring Gellért Hill is a great way to get acquainted with Budapest. The sights provide a glimpse of the history and flavor of the city. The observation terraces in the park allow sweeping views of downtown Pest and locales to the South. We were also very pleased with our bunking location – the Hotel Gellért. Spacious, historical, architecturally appealing, well equipped, reasonably priced, guest friendly and handsomely located. We even got a room with a balcony for a song compared to what we would have paid in the United States. And you can access the internet from your room, provided you have your laptop with you. Whether you want to lollygag in the baths, exchange money or enjoy traditional singing and dancing performances, the Gellért’s got it. And, it’s a perfect jumping-off spot for exploring Buda or Pest. North of the castle is Water Town or Viziváros. To get there, walk down the main street, Fő Utca, from the Gellért past the Rudas Baths and the Tunnel in Clark Ádám Tér (check out the funicular that takes you up the hill to the Buda Castle). The Clark Ádám Tér traffic circle is actually a pleasant one. Landscaping anchors the center, the Tunnel is dramatically solid and the huge stone lions that adorn the Széchenyi Iánchíd Bridge lend an appropriately somber tone. Apparently the sculptor of the lions, János Marschalkó, was so devastated that he forgot to include tongues on the beasts that he drowned himself in the Danube. Farther down lies the Kapisztory House with its turret window, the Capuchin Church, the Calvinist Church with its amazing ceramic-tiled roof and St. Anne’s Church across from Batthyány Square. Although St. Anne’s was closed when we were there, the Baroque main portal was a treat in itself. We passed the Lukács Baths and turned left by the Margaret Bridge to ferret out some dinner. We ended up at Margitkert Étterem and had our first dose of goulash with plenty of paprika. Yum. The live entertainment was a bonus too. Next up – the Castle District or Old Town. Take the funicular to the south of the Tunnel, or traverse the walkways starting at the base of the Tunnel to get to this lofty neighborhood. At the top lies the Royal Palace. The palace was rebuilt after its destruction in 1945 according to the 1905 design. Part of the 15th century Gothic palace remains, which cohabitates with the current structure. Be sure to stop in at Hungarian National Gallery as you wander around the palace. It doesn’t have air conditioning and the café is pretty lousy, but the range of artwork is extensive and provides more insight into the history and culture of the country. Also of interest is the Mátyás Fountain, the Lion Gate and the Sándor Palace. A lone violin player in one of the archways gave an eerie, evocative quality to the walk. Farther north up Tárnok Utca we stopped in for a beer and then wandered by Holy Trinity Square, the Fisherman’s Bastion (more great views of the city and libations await), and the big daddy, Mátyás Church. This Neo-Gothic beauty is impressive both inside and out. We were wowed by the ceramic-tiled roof and the thin spires. Once inside, we admired the pulpit, the creepy tomb of King Béla III and Anne de Châtillon, the triptych in the main altar and the stain glass windows. There is a Museum of Ecclesiastical Art in the crypt, which we missed. A walk down Lords’ Street is well worth the façade viewing, but more importantly, it houses the little-known Labyrinths of Buda Castle. The small entrance at Úri Utca No. 9 descends into a section of the complex of cellars, caves and dungeons that sprawl beneath Castle Hill. The place is surreal – half museum, half theme park – with dank corridors and spooky music. Think “nigh vision” on your camcorder. If you really want to get creeped out, come for the night tour from 6:00-8:30 P.M. or brave the individual tour. Yep, they will send you into a section of the Labyrinth closed off to everyone else but you. And yep, it is only offered at night. No thank you/Thank you God -depending on your proclivities. We emerged back into broad daylight and checked out the surviving tower of the Church of St. Mary Magdalene and the unimpressive Hilton Hotel before heading down into the heart of the city.